Mental disability is just as real and debilitating as physical disability. Mental health conditions can limit a person’s ability to work for an extended period of time or perform necessary daily functions. This should qualify a person for Social Security Disability benefits, but, often due to the invisible nature of a mental illness, securing them can be a challenge. 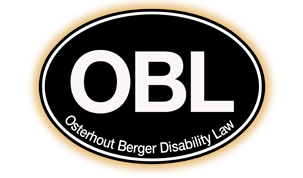 At the offices of Osterhout Berger Disability Law, we work extensively in the area of Social Security law. The attorneys at our firm have more than 50 years of combined experience and have handled over 30,000 cases, including many claims resulting from mental health-related disabilities. We help clients apply for benefits and appeal denials, when necessary. Those afflicted with mental health conditions do not have an easy road to travel. Beyond dealing with debilitating symptoms, they must face public scrutiny. A certain stigma seems to surround mental illness, with many uninformed people still thinking “it’s all in your head” or that these people are “crazy.” In reality, many mental health conditions involve dysfunction of brain chemistry, something that you cannot just “snap out” of. Some mental health disabilities stand alone, making you potentially eligible for benefits. In other cases, people already suffering from chronic illness or other disability develop mental health conditions like depression, further limiting their ability to provide for themselves. In either case, our firm is committed to helping you secure the income you need. We can help you collect medical and psychological records to create documentation of your illness and the barriers it creates. If you have been diagnosed with a mental health condition or believe you may be suffering from mental illness, please seek the treatment you need. To discuss your potential SSD claim or appeal, please schedule a free confidential consultation by calling us at 412-794-8003 (locally in the Pittsburgh area) or toll free at 1-866-438-8773 (outside the Pittsburgh calling area). If you prefer, you can fill out our intake form and we will contact you to schedule an appointment.